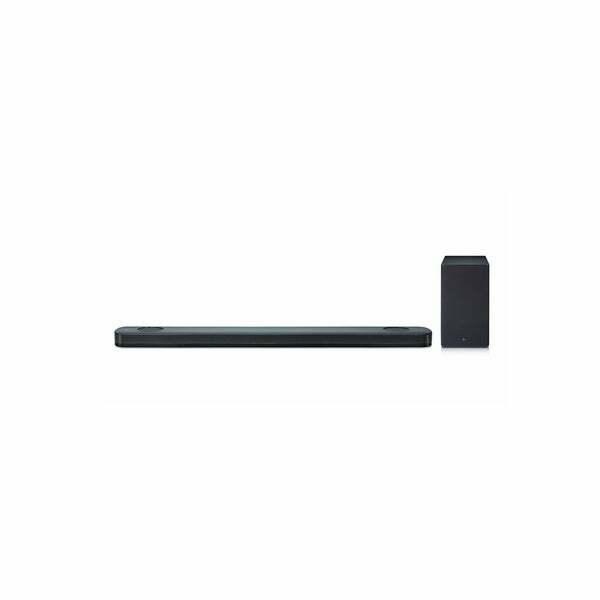 This is a great sound bar to complement the LG C8. The sound and depth is so much better than the stock TV speakers. For the sale price it was a no-brainer and I am very pleased with my purchase. Dimensions 5.7 In. X 47.2 In. X 2.3 In. This is an excellent sound bar. 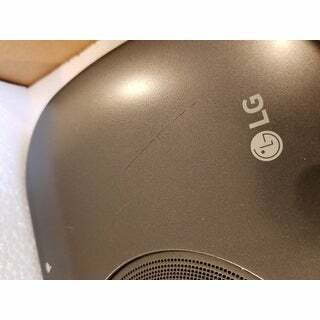 Mine was refurbished and I saved some money on Overstock.com I recommend the LG UP875 or the LG UBK80 blu ray supporting 4K and High Resolution Audio and you will have an outstanding Atmos home theater system at a reasonable price. 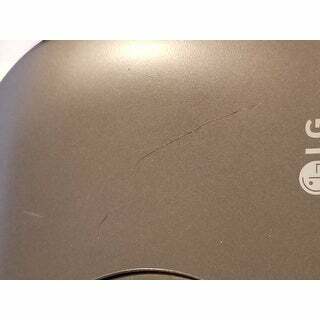 Can't wait until I can .afford the LG SPK8-S as rear speaker to complete my setup. Overstock has the lowest new price that I have found at $149. That includes free shipping. This sounds so good. Unbelievable how is easy it was to set up. All I did is plug it in to the wall for power and then connect the optical cable(came with it)and it works perfect. Seller was helpful. Unit came missing the remote and power cords for the units. They fixed that for me within the week. However I just hit 42 days with the unit I bought it just over mid December and now the sound cuts in and out. The unit is also not randomly lowering the volume then later getting extremely loud. And it looks like it is getting worse. The unit now is randomly just powering off.... Buy a new unit... sound was good but the refurbished unit I got clearly was not refurbished by pack of parts and the issues I'm currently having. Item was packaged well and included all components. 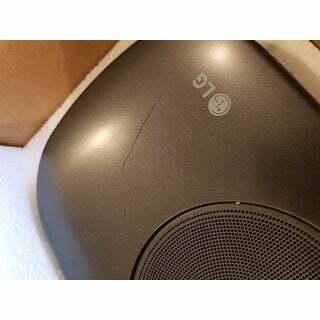 Top of soundbar casing was severely cracked and I cannot imagine what force it took to damage the case of the soundbar. Moreover, I cannot understand why Overstock would ship this damaged product to a customer. Shame on Overstock for lousy quality assurance. And, for the customer, what a waste of time. Buyer beware of faulty products. Its ok product not the top of the line. For budget , its nice. For codo or small room its the right product. Wi-Fi setting is not easy u have to waist quiet some time. It's ok at best. Will be purchasing a Sonos asap. "Does this have threaded mounts on the back/rear to mount to bottom of a wall mounted Tv?" There are mounting holes and the unit will come with the original mounting bracket to mount the Soundbar to the wall. "Is this a new or refurbished soundbar? What is the difference between SKC9 and SK9Y?" This is a refurbished item. Best Ways to Hide Home Theater Cables from Overstock.com. Our guides provide customers with the best ways to hide home theater cables.